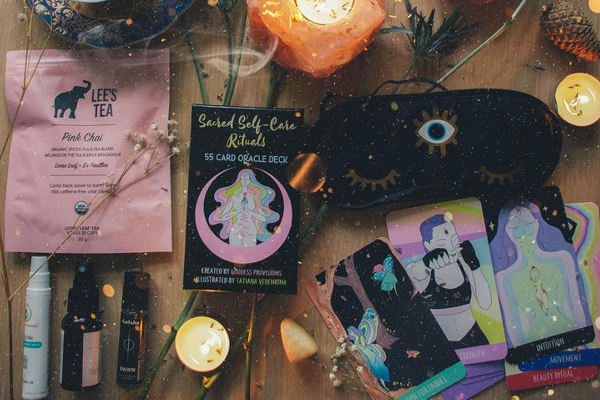 A witchy subscription box is one of the best and easiest ways in my opinion to collect spiritual tools and try out new products without having to leave your house. 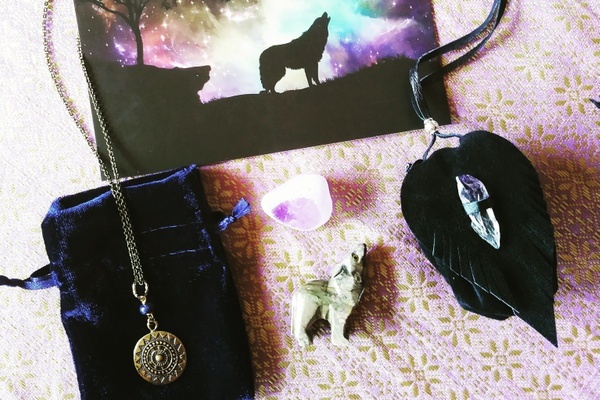 In this post I’m sharing the best current witchy subscription boxes available. I update this monthly, adding new boxes I find that are worth looking at. What I love about the internet is that now not only do we have access to almost any kind of subscription box we want, but so many of these boxes are put together by small businesses and even one-woman/man shows. Which means quality is high, there is a lot of variety to choose from, and you can feel the love that was put into creating these boxes. Okay actually that was my only criteria while sorting through the options. I personally do not want a box that is filled with cheap, dollar-store type items or just a lot of samples. Nor do I want a box that only comes with 2-3 items when there are other boxes that come with more for the same price. I look for a box that has several full-sized, quality items for a reasonable price. 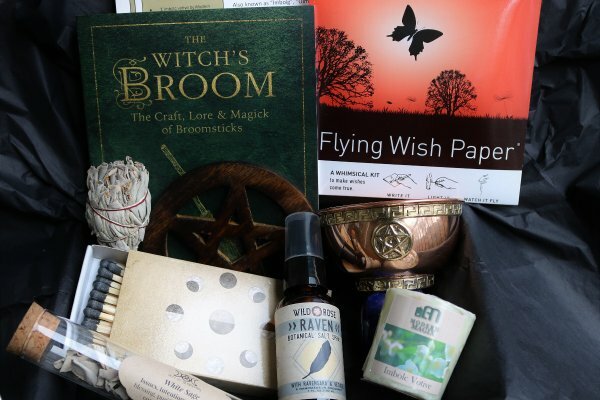 All the boxes below are based in the US and at the very bottom of the list, I do have a few links for witchy boxes in the UK, Canada and Australia. This blog post is updated monthly. 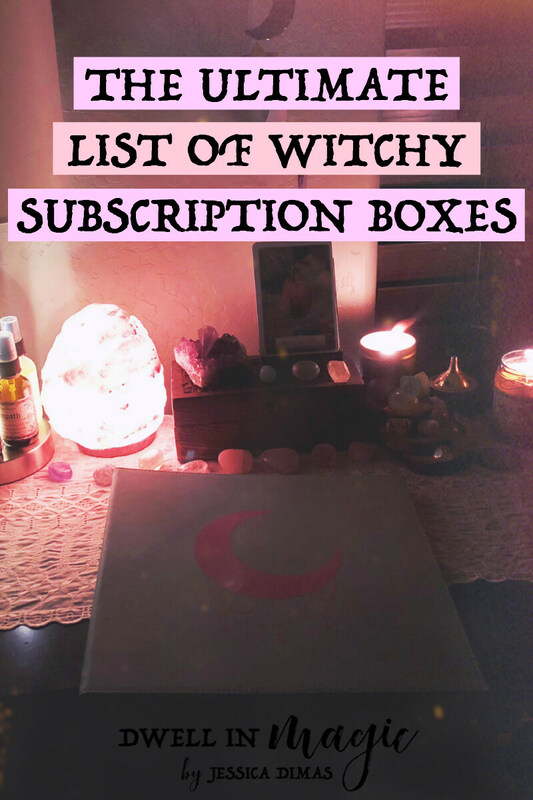 Here are my personal favorite picks out of all the witchy boxes out there. I think that this box brings a lot of value for what you pay. It’s only $35 and as you can see in the photo above, you receive quite a bit. I tried out the April box, so click here if you want to see up close everything I received (it was a BEAUTIFUL and thoughtfully put-together box, I really enjoyed it). 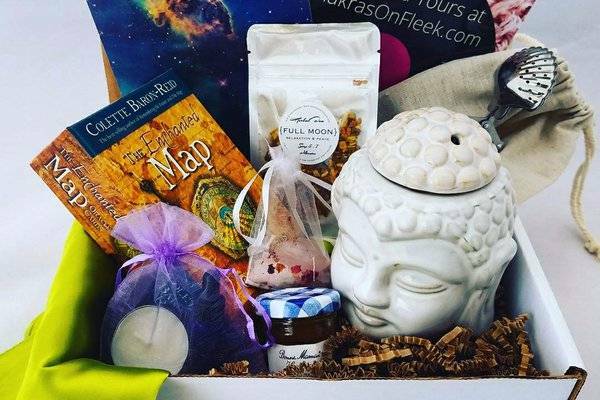 Site description: SugarMuses monthly box is purposefully created to include altar items, handmade candles, salts, perfume, incense, smudge bundles, gemstones, sacred adornment and original artwork. Each item included is chosen to enrich and inspire you based around a sacred message and to celebrate the seasons. Create your reality through intention & ritual. 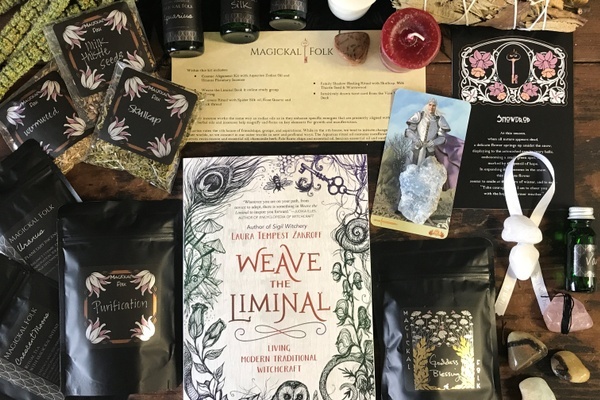 This box has been on my wishlist since last year and they just made a really exciting update–they’ve combined their ritual and apothecary boxes to include both types of items. 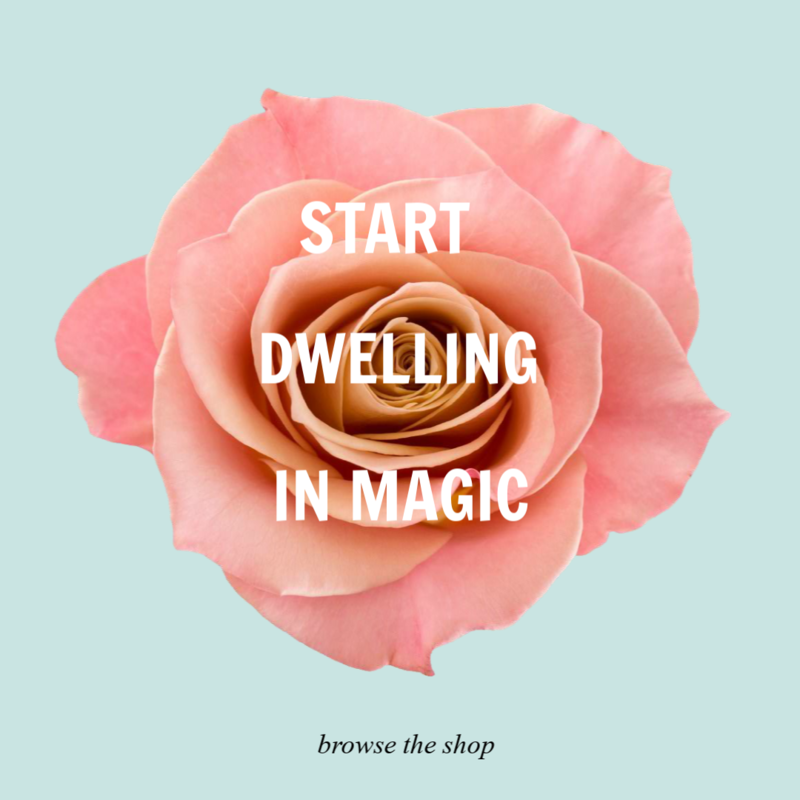 Site description: The Tamed Wild Box is a monthly delivery of magic & earth medicine. Each month is created around a theme and includes items for the earth spirited and the lovers of all things mystical and natural. Deliveries can include crystals, herbs & teas, ritual tools, altar items, jewelry, essential oils & other lifestyle pieces. Intention setting ritual included in each box. How many items per box: each delivery includes 7-9 items including full sized products. Delivered: The shipping window for all subscription boxes is the 15th-the end of the month. Whichever day of the month you subscribe, you will receive the correlating box of that month. I just saw this box announced the other day and I’m really excited about it! 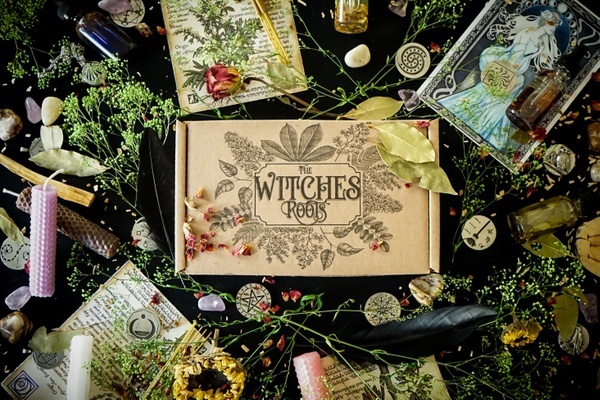 I haven’t tried it yet because it’s brand new but I’ve tried their other box The Witches Moon (shared in this list as well) and it’s a high quality, affordable box. 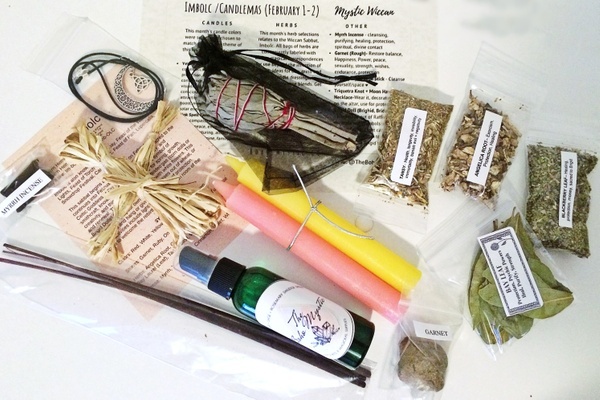 This box is focused on herbal witchcraft and intentional spell-crafting. Site description: Years of research, practice and respect for the Natural Craft have gone into the making of these magickal items. Each item in this collection has been carefully and intentionally brought into existence for the very purpose of increasing the Magick that flows through your life. How many items per box: site doesn’t say but their boxes usually have around 7-10 items. 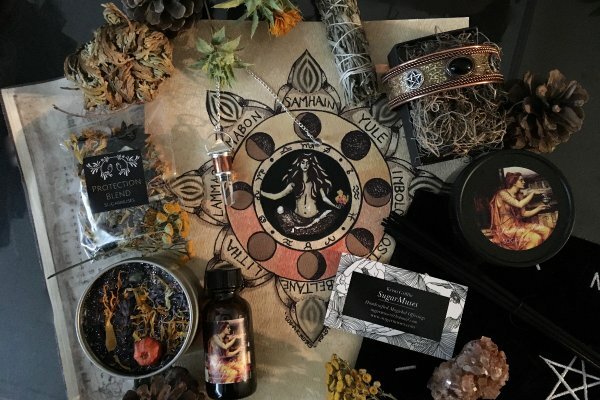 Boxes will include items such as dried herbs & magickal flowers, ritual body oils, spell coins or magickal talismans, incense, spell candles, crystals & custom artwork. How beautiful and tempting does this box look? The creators definitely take their box seriously, put a lot of intention into it and I love how many items come in the box. This is a box I’ve actually received so you can check out my review for it here if you’d like to see what we got in the February “Healing & Transformation” box. 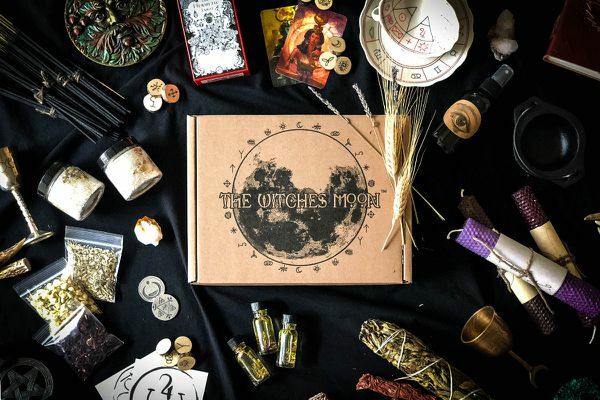 Site description: The Witches Moon is a premium subscription box for all of the witches out there. We are passionate about our Craft and want to share our knowledge and practice with the world. *Not intended for Full Moon Ritual. This seems like an awesome box if you want to expand your crystal collection. I like that they also send an additional two products to strengthen your spiritual practice. Site description: Awakening in a Box wants to join you on your journey of awakening through crystal energy. Let us bring you healing and positive energy every month with crystals picked intuitively just for you and products designed to aid you on your path toward enlightenment. Our goal is to support you as you strengthen your connection with the universe. This is the box I’ve been subscribed to for the last two years and how I’ve grown my collection of spiritual tools. I really like the price of their box for what you receive and the fact that they always send a crystal and some type of aromatherapy. I’m huge into aromatherapy and this box helps me always have some on hand. Site description: Our boxes are curated to nurture your inner goddess and help grow your spiritual practice. We pack each box with 4 to 6 full-size products, totalling for a retail value of $60-$90. All the products inside are vegan, cruelty-free and natural. Each box has a mix of crystals, aromatherapy, natural beauty products, superfood snacks & spiritual tools. This is another one of those types of boxes I like because they offer tiers. Some of us don’t need as many products a month or want to stay within a budget. I like that this box really sends a variety of tools. 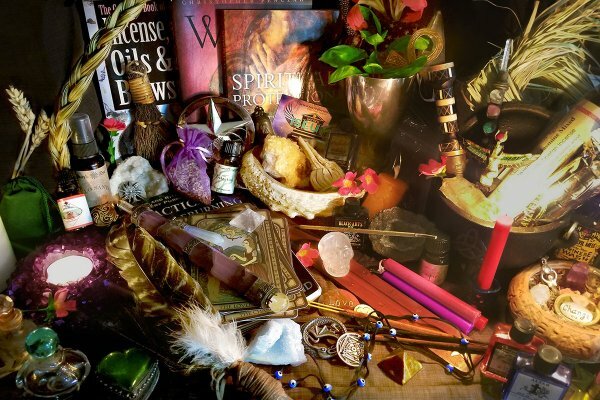 Site description: Our boxes can contain spells, rituals, candles, herbs, spices, incense, smudge sticks, resins, crystals and stones, salts, sprays, altar decor and tools, divination tools, jewelry, adornments, & keepsakes. How many items per box: You will receive 6-20 surprise items per kit, with lots of handmade witchy goodies. Delivered: new subscribers will receive the following month’s box. This is a box that focuses on crystal energy and astrology every month. Site description: Each month your box will be curated to offer provisions to match the months energy. The Basic comes in a package and includes monthly amazing crystals. The Essential box includes crystals, a monthly astrological overview, and a tarot card drawn just for you. 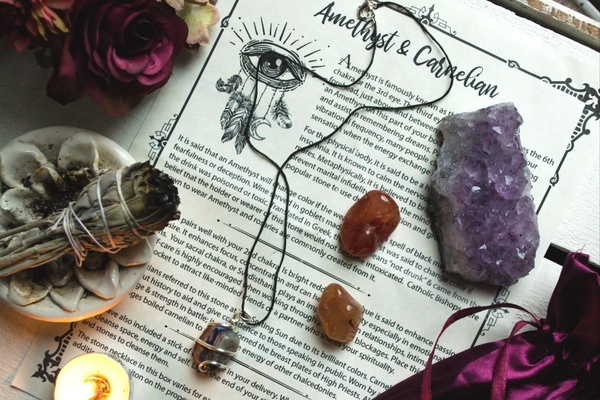 The Premium box offers crystals, astrology, tarot, and magical items to fit the energy. This is the second most popular crystal box available, after the one above. What I like is that they have two box options you can choose from, which is great because if you’re like me and you already have a large crystal collection, the smaller box would be perfect. Site description: A curated selection of crystals and minerals sourced from around the world. We offer two different subscriptions: The single specimen Crystal of the Month plan or the multiple Crystal Variety Box. Each plan includes a bonus assortment of mini crystals and minerals. Every crystal is hand-selected with care and intention each month. How many items per box: the smaller box comes with one crystal and the larger one comes with 4-6 crystals a month. Each one comes with mini crystals every month. This is a box for witches that gives you the option to choose a smaller delivery of items at a lower cost or the larger selection at the higher price. From what I can gauge by the number of reviews, this is a really popular and well-loved box. They also send their boxes and packages discreetly without any printed logo if that’s important to you. Site description: The Magickal Folk Fall Series is an educational platform dedicated to expanding collective consciousness, amplifying feminist perspectives and casting magick with within a diversified community. Media & kits are curated to combat contemporary issues using old world magick, new age metaphysics & affirmations of spirit. This is a unique and simple subscription box. Spiritual items are tucked inside of a handmade leather pouch by the box’s creator. You can choose to receive either a crystal-only option or the medicine bundle. Site description: Crystal pouches & medicine bundles. I am a longtime medicine bag maker, intuit & clairvoyant who works from the heart to bring forth something truly special. This is Intimate. Sacred. Authentic. 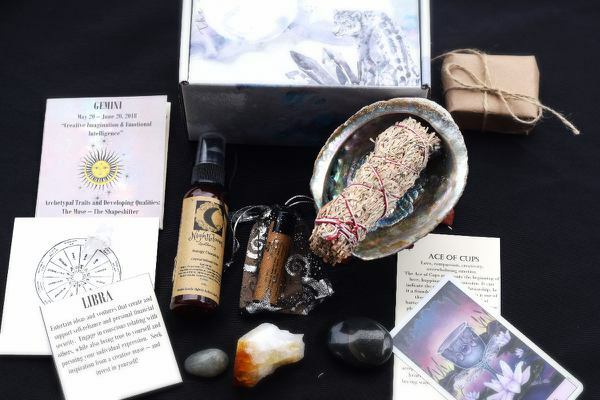 How many items per box: the Crystal Pouch will contain simply a crystal and handmade pouch, and the Medicine Bundle comes with a crystal, a piece of jewelry and one spiritual tool such as altar pieces, smudge, art, apothecary, etc. I have to admit you guys are the one who brought this box to my attention. It appears to be a new box on Cratejoy at least, but used to be sold on another site. It appears to be a box made by people who are authentic and whose goal is to keep your tools and cupboard stocked. Site description: Magic is ready to fill your home, let it in. Sacred Apprentice, Sacred Chest, and Sacred Sabbat challenges you to step out of the circle of familiarity and into the full magical circle of everything the craft. Themed magical box to expanding your knowledge of the craft each month while enhancing your magical cupboard. What I like about this box is that they offer three different box options depending on what level of materials you’d like to receive, and I really feel like this is an authentic Wiccan-inspired box. It’s not “cutesy” like some of the other witchy boxes. 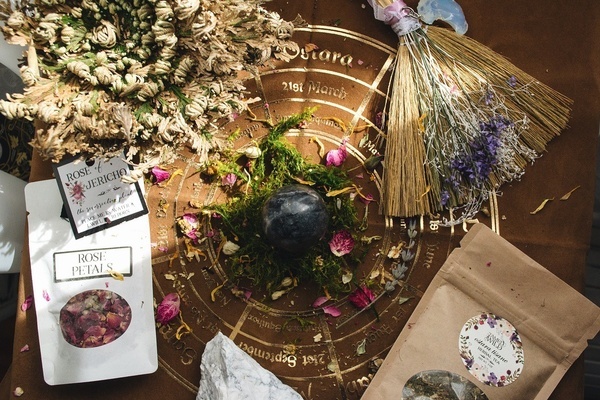 Site description: Welcome to Box of Shadows; a premium, Wiccan inspired subscription box. Our diverse box tiers offer items that complement spiritual paths of all kinds. We also include a carefully crafted informational insert which outlines the items in each box and their uses. What you can expect: herbs, gemstones, jewelry, altar decor, pagan & metaphysical books. This is anther beautiful box from Tamed Wild but it’s specifically for collecting crystals, stones and minerals. 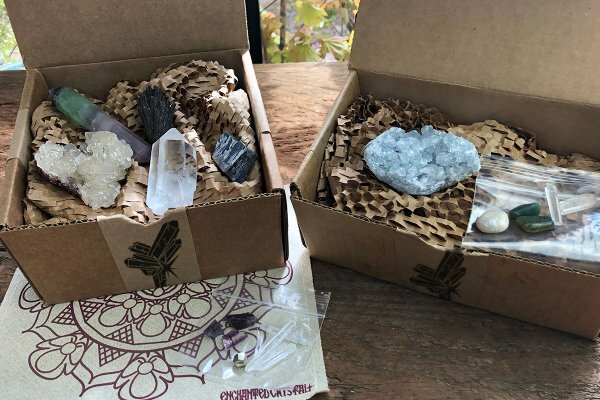 Site description: The Wild Crystals Box by Tamed Wild sends you a carefully curated selection of natural crystals, stones and minerals each month. Each Box has a monthly theme and an beautifully designed information sheet with details on the crystals included. First box ships within a week & can be the current months theme or one chosen at random. How many items per box: it’s not stated but points, rough stones, raw specimens, polished stones, spheres & wands can be expected. You will also receive occasional jewelry items, accessories and tools used to clean & charge your stones. This is a box that comes every other month and to me, sends all around tools for a spiritual practice. Their aim to help you connect with yourself and deepen your spiritual practice. 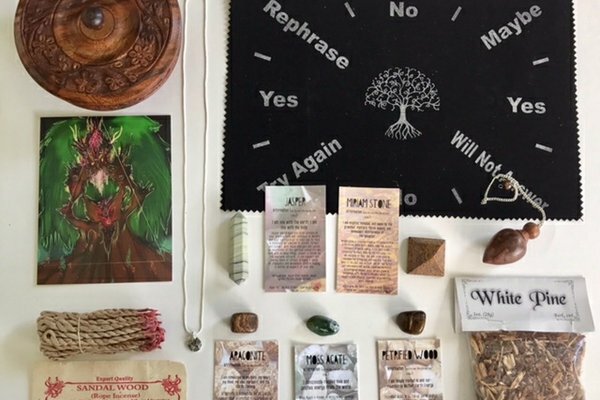 Site description:WEvolve is a subscription box that delivers divinely curated metaphysical and sacred objects from mystical traditions worldwide. Each item is designed to inspire a deepening of your spiritual practice. We offer 2 subscriptions with 2 types of shipping options, and one single box option. Subscribe today and begin to create your sacred space. How many items per box: site doesn’t specifically say but items included are high vibration crystals, oracle decks, figurines, meditation tools and more. I hope you enjoyed this post. If you know of an awesome subscription box that I left off the list, please leave the name of the box in the comments below and I’ll definitely check it out. If you’d like more sacred self-care inspiration, connect with me on Instagram where I share my moon and self-care rituals on Insta stories. I really appreciate and enjoy how you review each of these boxes!! There are 4 on my must try list n(after readings your reviews): Moonbox by Gaia Collective, Chakra Box, Nova Luna and Spirit Trading. Eloquently written and very easy to follow. BTW, your Facebook group is a breath of fresh air as well!! Keep it up and blessings on each blog you write! Thank you Kristy, I’m so glad you’re enjoying the Facebook group! I am too 🙂 So many engaged and helpful members. I like your picks, I’m really thinking of getting that Chakra box too! Thank you for this post! It was really helpful! I find it hard to find boxes that seem trustworthy and these reviews helped! I’m glad you enjoyed it! I’ve reached out to all of the boxes on the list as well to see if they would send me a box so I could show my readers what to expect for each box – I’ll be updating with links to all of the boxes that agreed! I think it will really help with deciding which one to choose. Enjoyed all your hard work. Looking forward to purchasing a few boxes….. Very informative. Do you know of like places that do one time boxes, like a grab bag sampling of their products? Hmmm that’s a really good question…I’ll look into it and see if I can find anything! Thank you!!! Everything is well described. The effort and hard work you put into gathering up this information is very much appreciated. I never knew of such boxes until I stumbled across this on Pinterest. Do you by chance do spread sheets for budgeting so I can get busy going through all these boxes to decide which one or ones to purchase. Just kidding about that part but not about how much I appreciate this. Blessed Be!!! what a lovely post! very informative and well presented. It has given me ideas on several new boxes to get 🙂 just a note to share, I have been getting the wild crystals box for about 5 months now. 3 of those months got a beautiful crystal cluster,, one month was a whole Chakra set, of stones and those are just one of the several items that have been included in the box. every single month there is a sheet that explains the stones/crystals included. I guestimate the value well worth double the $20 I pay for the box every month. Thanks so much for this! A bunch of these just got added to my wishlist. Hey There, Just wanted to say thank you for putting this list of Witch boxes together. It was very helpful actually as I have been debating on them for a while now. I chose the Sugar Muse box, can’t wait to get it…..
I’m glad you found the post helpful and I hope you enjoy the Sugar Muse box, that’s definitely a good choice! Do you know any more European stationed boxes except the ones from the UK? It seems Germany isn’t too well equipped in the witches’ business…. Thanks for the list! Some I hadn’t heard about! One to add would be Sabbat box. I’ve been a subscriber for almost 2 years. It’s really nice. Just found your blog and I find it really informative, thanks for your hard work! I’m looking into subscription boxes and I really want to find something that ressonates with my craft and in my price range, this will help me a lot! I’ve been received Freya’s Cauldron Box and I have really enjoyed it every month, she is UK-based.